I didn’t write a lot in 2016, but 2016 may have been the year we put the final nail in the coffin of amiodarone. Two major studies were published and both were very negative for amiodarone. If we give enough amiodarone to have an effect on ventricular tachycardia, it will usually be a negative effect. Only 38% of ventricular tachycardia patients improved after amiodarone, but 48% had major adverse cardiac events after amiodarone. There are better drugs, including adenosine, sotalol, procainamide, and ketamine for ventricular tachycardia. Sedation and cardioversion is a much better choice. Cardioversion is actually expected after giving amiodarone. Masimo’s RAD 57 still doesn’t have any evidence that it works well on real patients. When intubating, breathe. Breathing is good. Isn’t inability to breathe the reason for intubation? What do you do when a patient wakes up during CPR? The RAD-57 – Still Unsafe? Masimo stands by its products’ performance and knows that when SpCO-enabled devices are used according to their directions for use, they provide accurate SpCO measurements that provide significant clinical utility, helping clinicians detect carbon monoxide poisoning in patients otherwise not suspected of having it and rule out carbon monoxide poisoning in patients with suspected carbon monoxide poisoning. The problem is that there is no evidence that the RAD-57 is safe or effective at ruling out carbon monoxide poisoning in anyone. There is evidence that the RAD-57 will fail, if used to try to rule out carbon monoxide poisoning. One study showed that the RAD-57 will miss half of the people with elevated carbon monoxide levels. The RAD device correctly identified 11 of 23 patients with laboratory values greater than or equal to 15% carboxyhemoglobin (sensitivity 48%; 95% CI 27% to 69%). Is there any evidence that the RAD-57 is able to rule out covert, but life threatening carbon monoxide poisoning? While there have been several studies of the RAD-57, I could not find any evidence that the RAD-57 is safe or effective at ruling out carbon monoxide poisoning. There does not appear to be any research on the use of the RAD-57 to screen firefighters to rule out carbon monoxide poisoning, even though advertising shows using the RAD-57 to screen firefighters. Was I wrong? No. That is why this is not a part of The First EMS What-if-We’re-Wrong-a-Thon. One shows that we may be causing harm by aggressively providing oxygen. This is not enough of a reason to stop providing oxygen, but if this hypothesis is supported by further research, we will need to change treatment. While CO’s affinity for hemoglobin remains undisputed, new research suggests that its role in nitric oxide release, reactive oxygen species formation, and its direct action on ion channels is much more significant. In the course of understanding the multifaceted character of this simple molecule it becomes apparent that current oxygen based therapies meant to displace CO from hemoglobin may be insufficient and possibly harmful. Another shows that the addition of catalytic converters seems to have dramatically decreased the car exhaust suicide rate and the level of carbon monoxide in survivors of these suicide attempts. Since 1985, the CDR for suicidal motor vehicle-related CO poisoning has decreased in parallel with CO emissions (R2 = 0.985). Non-fatal motor vehicle-related intentional CO poisoning cases decreased 63% over 33 years (p = 0.0017). COHb levels decreased 35% in these patients (p < 0.0001). CDR is Crude Death Rate. The fact that all the Paramedic Rescue Squads were equipped with medical triage sets and were able to conduct non-invasive measurements of carboxyhemoglobin made it possible to introduce effective procedures in the cases of suspected carbon monoxide poisoning and abandon costly and complicated organisational procedures when they proved to be unnecessary. No. The Magic 8 Ball did not indicate a problem, but that does not mean that it is safe to rule out carbon monoxide poisoning with a Magic 8 Ball. 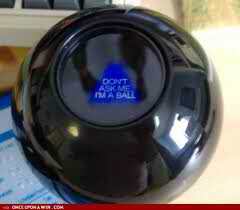 The Magic 8 Ball RAD-57 is not accurate enough to rule out carbon monoxide poisoning. The RAD-57 is only appropriate for sending more people to the hospital. While the extra cost of these false positives is a problem and will cause people to mock Masimo, this may save some lives or just prevent more serious consequences of carbon monoxide poisoning. If you use the RAD-57 to determine that someone does not need to go to the hospital, get a lot of very good insurance, because eventually one of those patients will have a heart attack, or a stroke, or die and carbon monoxide will be part of the reason for the bad outcome. Your advice will have contributed. If you send a firefighter back into a fire because you think you have ruled out carbon monoxide poisoning, eventually you will be the cause of death or disability of firefighters. Don’t do it. While the Rad-57 pulse oximeter functioned within the manufacturer’s specifications, clinicians using the Rad-57 should expect some SpCO readings to be significantly higher or lower than COHb measurements, and should not use SpCO to direct triage or patient management. An elevated S(pCO) could broaden the diagnosis of CO poisoning in patients with non-specific symptoms. However, a negative SpCO level in patients suspected of having CO poisoning should never rule out CO poisoning, and should always be confirmed by COHb. Highlighting in bold is mine. SpCO is Masimo’s registered trademark for their noninvasive indirect measurement of carbon monoxide using the RAD-57. Was I wrong? I will find something else to write about, because there is even more evidence that the RAD-57 should not be used to try to rule out carbon monoxide poisoning now than when I originally criticized Masimo. Also read the article by Dr. Brooks Walsh on the RAD-57 and screening for carbon monoxide poisoning in fire fighters – Checking firefighters for carbon monoxide – recent studies, persistent concerns. Performance of the RAD-57 With a Lower Limit – Better? Performance of the Rad-57 pulse co-oximeter compared with standard laboratory carboxyhemoglobin measurement. Ann Emerg Med. 2010 Oct;56(4):442-4; author reply 444-5. No abstract available. Free Full Text of letter and author reply from Ann Emerg Med. Touger M, Birnbaum A, Wang J, Chou K, Pearson D, Bijur P.
Ann Emerg Med. 2010 Oct;56(4):382-8. Epub 2010 Jun 3. Free Full Text Article from Ann Emerg Med. A modern literature review of carbon monoxide poisoning theories, therapies, and potential targets for therapy advancement. Roderique JD, Josef CS, Feldman MJ, Spiess BD. Toxicology. 2015 Aug 6;334:45-58. doi: 10.1016/j.tox.2015.05.004. Epub 2015 May 18. Review. Suicidal carbon monoxide poisoning has decreased with controls on automobile emissions. Undersea Hyperb Med. 2015 Mar-Apr;42(2):159-64. False positive rate of carbon monoxide saturation by pulse oximetry of emergency department patients. Weaver LK, Churchill SK, Deru K, Cooney D.
Respir Care. 2013 Feb;58(2):232-40. doi: 10.4187/respcare.01744. Free Full Text from Respir Care. Also posted over at Paramedicine 101 (now at EMS Blogs). Given the whimsical nature lack of reliability of the RAD-57, should this be an example of what ambulances will look like? Maybe I should ask a psychic. Image credits – 1, 2, and 3. There are two big advantages that the RAD-57 has over the psychic. 1. Many cases of CO poisoning are probably not diagnosed due to vague symptoms that go away when the person leaves the environment. 2. Sometimes the RAD-57 does seem to get it right, but only sometimes. There is one big disadvantage of the RAD-57 compared to the psychic. Nobody is going to send a firefighter back to fight a fire based on the word of a psychic – at least I hope not. Firefighters are probably being screened to safety with the RAD-57. How many hospitalized firefighters, or dead firefighters, will it take to demonstrate that the RAD-57 is not accurate enough to use to screen for CO poisoning? We have the RAD-57, and I would agree that it’s a fairly unreliable device. I once put it on my finger to try it out on the way to a call, and it gave me a reading of 7%. I have never smoked a day in my life, and before getting on the ambulance, I had spent almost 4 hours doing station chores outside. This is above the 6.6% cut-off for CO poisoning recommended in the most recent study. Maybe MK did not use the RAD-57 correctly. Quick and easy-to-use—requires no user calibration and does not require patient cooperation or consciousness. While Masimo is not exactly stating that the RAD-57 is So easy a caveman could use it, ease of use and simplicity are emphasized in their sales pitch. 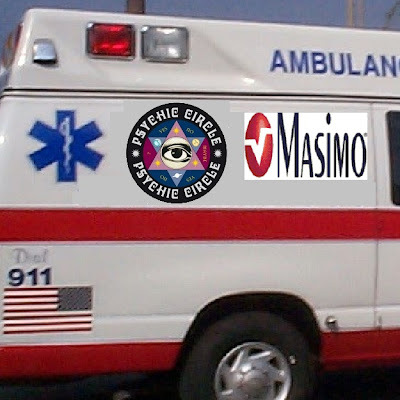 Claims of operator error demonstrate dishonesty on the part of Masimo. Is the RAD-57 easy to use, or do we have to align it with the patient’s chi forces, when the moon is just right, after doing a voodoo dance? Trust Masimo. It’s always operator error, never equipment failure. Funny you should bring this up. A few months ago we were sent to a “possible CO leak” with mulitple patients. The only problem was the the FD got readins of 0 when they tested the air for CO. Which was confusing to say the least because the first unit on scene with a RAD 57 got a reading of 18 ppm on an elderly gentleman who had some dypnea and chest pain. The supervisor was convinced that the FD didn’t know what they were doing because of the RAD 57 readings. Too Old To Work goes on to provide more details in the rest of his comment. The problem identified in the Touger study was that the RAD-57 was not sensitive enough. The Rad-57 missed most of the actual cases of CO poisoning. The solution seems to be to increase the sensitivity to the point where saying, Carbon monoxide, will set it off. How many cases of CO poisoning does the RAD-57 miss? We will probably only learn this from the lawyers, because Masimo has not been providing useful information. Mass sociogenic illness initially reported as carbon monoxide poisoning. Roth D, Herkner H, Schreiber W, Hubmann N, Gamper G, Laggner AN, Havel C.
Ann Emerg Med. 2011 Jul;58(1):74-9. Epub 2011 Apr 2. Because a false-negative reading could have serious medical consequences, this device should be tested in a much larger number of poisoned patients to confirm the generalizability of our stated cutoff values. 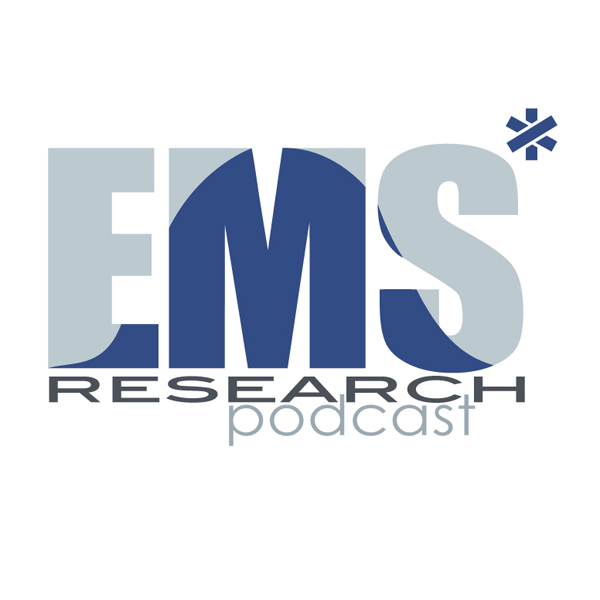 Also posted over at Paramedicine 101 (now at EMS Blogs) and at Research Blogging. Go check out the excellent material at these sites. This is adding to what I wrote yesterday about the continuing failure of Masimo’s RAD-57. The RAD-57 does not demonstrate any kind of acceptable sensitivity or specificity to be marketed as a mass screening device – and especially not to screen firefighters to go back to fighting fire. This is just more evidence that the RAD-57 does not accurately measure carboxyhemoglobin (COHb). Here is a report of a mass delusion that seems to have been compounded by the use of the Masimo RAD-57 non-invasive CO monitor. CO (Carbon monOxide) is a significant cause of poisoning in the US, but not relevant in this case. The RAD-57 incorrectly identified CO poisoning in half a dozen people who do not appear to have had any exposure to CO.
Sociogenic illness is a rare but well-described phenomenon. It involves a constellation of physical signs and symptoms without an organic cause in a group of individuals with a common ‘‘exposure’’ (1–8). It often occurs in the setting of large gatherings such as schools or when large numbers of people are living or working in close proximity. I wrote about a different example of mass delision a couple of weeks ago. We underestimate our ability to delude ourselves, but we are great at self-delusion and we are most delusional in groups. No need for any objectivity. Just go with the feeling of a group. Approximately 15 min into the mass, one child fainted, followed by another child. The children did not have any seizure activity and immediately awoke with normal mental status and were removed from the church. Within minutes, several more children reported a variety of complaints, including nausea, hand paresthesia, and dyspnea. A poison strong enough to cause people to pass out, is not going to result in a return to normal mental status right away. The ﬁre department initially evaluated the patients with complaints, including obtaining carboxyhemoglobin (COHb) oximetry and oxygen saturation readings from a hand-held portable Masimo® device (Masimo Corporation, Irvine, CA). At the scene, 6 patients were reported to have elevated COHb levels. As such, the church was closed and paramedics, as well as the city’s hazardous materials (HAZMAT) team, were called to the scene. 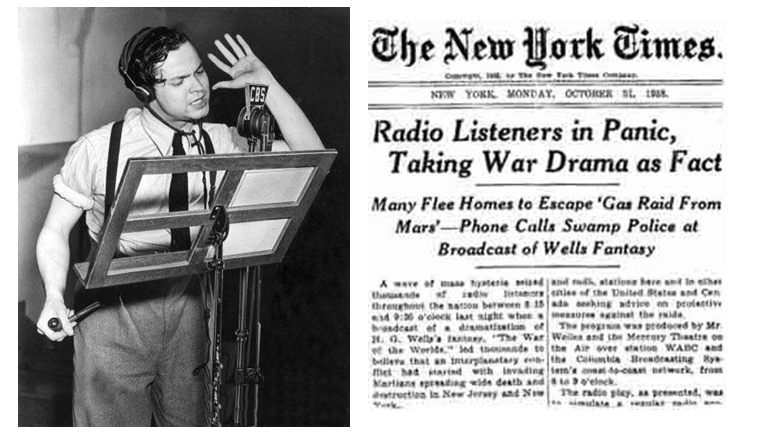 If only someone had told them that the RAD-57 doesn’t work, much of the chaos could have been avoided. Blood COHb levels, obtained in all patients soon after arrival in the ED, ranged from 0.2% to 1.2% (mean 0.65%). The hospital laboratory reference range for COHb is < 1.5% for non-smokers and as high as 5% for smokers. However, this upper value can be much higher in heavy smokers (9). None of our patients had elevated blood COHb levels. In the ED, all patients had normal physical examinations, including neurologic and respiratory examinations. Were their physical exams much different on scene? Subsequent evaluation of the church, classrooms, and surrounding premises by ﬁre department and HAZMAT personnel found no evidence of carbon monoxide or any other toxicants. The interesting part that is not well described is the initial response of the fire department. Almost always, they have atmospheric CO alarms on their gear. When a firefighter walks into a room with elevated CO, the alarm goes off. When there is a report of a possible CO exposure, a couple of fully geared up firefighters will investigate everywhere they can in a building, looking for areas where CO might be leaking and for areas where CO might have accumulated. There is no mention of any finding of CO at any time on scene. No – the RAD-57 is not an indication of the presence of CO. The affected persons were sitting in various areas of the church and many of the unaffected individuals were sitting near affected persons. This variability is not consistent with a simple asphyxiant. Furthermore, several patients became symptomatic after leaving the church, which would not be seen with a simple asphyxiant. Exposures to gasses should present with a predictable pattern. The people in the most heavily concentrated area should be the most affected, with the smallest people (generally children) and the most active people (also generally children) being more affected than the larger and less active people. That was not the case. This suggests MSI (Mass Sociogenic Illness, or mass delusion). Even if it appears obvious that this is a mass delusion, we should provide treatment as appropriate for the symptoms presented. In this case, some oxygen is the only treatment indicated and the only treatment provided. I wonder if this will lead to others reporting similar cases of mass delusions compounded by Magic 8 Ball RAD-57 readiongs. Mass psychogenic illness attributed to toxic exposure at a high school. Jones TF, Craig AS, Hoy D, Gunter EW, Ashley DL, Barr DB, Brock JW, Schaffner W.
N Engl J Med. 2000 Jan 13;342(2):96-100. Nordt SP, Minns A, Carstairs S, Kreshak A, Campbell C, Tomaszweski C, Hayden SR, Clark RF, Joshua A, Ly BT. J Emerg Med. 2012 Feb;42(2):159-61. Epub 2011 Jun 11. The Masimo RAD-57 non-invasive CO monitor is promoted as an accurate way to identify patients at risk of life-threatening complications of CO poisoning. CO (Carbon monOxide) is a significant cause of poisoning in the US, with hundreds of fatalities each year. 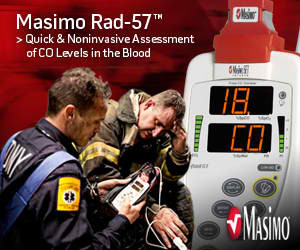 Masimo claims that their RAD-57 is able to accurately measure blood levels of CO without any complicated lab equipment. If it works, the RAD-57 might save some lives. Unfortunately, the research that has not been funded by Masimo does not support a decision to buy a RAD-57 until after they improve the device. Suspicion of CO poisoning is very important in identifying CO poisoning. One study was conducted at a burn center among patients already suspected of having CO exposure. A coin flip is going to be just as accurate as a test that identifies only 48% of the affected patients. The RAD-57 was shooting at fish in a barrel and still missed most of the time. Dr. Michael O’Reilly (Executive Vice President of Masimo Corporation) has claimed that those researchers, who are not on the Masimo payroll, are biased against his device. What does he understand about science, objectivity, or controlling for biases? Even some people who are not on the Masimo payroll have suggested that the RAD-57 might be useful and that the next study (quoted below) would confirm the usefulness of the RAD-57. Compared with the large population used for the calculation of bias and precision, the number of patients actually found to be poisoned was small, especially in the group of poisoned smokers. Therefore, the opportunity for false-negative results was limited. Because a false-negative reading could have serious medical consequences, this device should be tested in a much larger number of poisoned patients to confirm the generalizability of our stated cutoff values. This does not contradict the first study. Suspicion of illness/exposure is the most important part of identification. If we examine patients without considering suspicion, does the RAD-57 improve identification? Maybe, but this study is not capable of testing that hypothesis. These are only patients who are going to have ABGs (Arterial Blood Gas measurements) regardless of what the RAD-57 shows. We don’t know how many of the patients who did not have ABGs, or did not have ABGs within one hour of RAD-57 measurement, actually had CO poisoning. Blood gas analysis (arterial or venous) (Table 1) was performed later as a standard procedure in our ED on discretion of the treating physician for a variety of clinical reasons. If the patient had a low reading on the RAD-57 and did not have an ABG, should we conclude that the unmeasured carboxyhemoglobin level was also low? 31% of patients who had ABGs were excluded because there was more than one hour between RAD-57 measurement and ABG measurement. How many of these patients were presenting as unstable and had the RAD-57 measurement omitted? How many of these patients were presenting as very stable and had the RAD-57 measurement over an hour before the ABG? How many of the 17 patients in the documented sample had life-threatening symptoms? How many of the 17 patients in the documented sample had only minor symptoms? This kind of information is not included in the study. What was the basis of diagnosis of CO poisoning? The diagnosis of CO poisoning was based on increased COHb levels and clinical symptoms consistent with poisoning, including headache, vomiting, abdominal pain, and loss of consciousness. Identifying 16 out of the 17 patients in the 1,578 patient sample is impressive, but when we limit the patients to those with symptoms suggesting CO poisoning, we lose any possible value of the non-invasive screening. These are the patients who are going to have blood drawn to assess for CO poisoning regardless whether anyone uses a RAD-57. There is no benefit to RAD-57 screening in this setting. What about using the RAD-57 in 1,017 EMS patients, regardless of the reason for the 911 call? Of the 11 patients with a SpCO >15%, 10 were transported to a hospital for which the investigators had institutional review board (IRB) approval to review the patient’ s medical record. Of those 10, none had confirmatory venous carboxyhemoglobin levels. The two patients with an SpCO level of 21% did have a repeat SpCO documented at triage upon arrival to the emergency department. Their repeat levels were 8% and 2%. None of the 10 patients with levels >15% ultimately were diagnosed with and treated for carbon monoxide exposure or toxicity. The same idea, just not limited to patients chosen by having ABGs measured within one hour of RAD-57 measurement. None of the patients with elevated RAD-57 measurements had carboxyhemoglobin measured by drawing blood. None of the patients with CO poisoning (according to the RAD-57) were treated for CO poisoning. Is the RAD-57 reliable for determining if a patient should not go to the hospital? What is the target audience of RAD-57 marketing? What is the patient population studied? Patients already being treated in the hospital. They may include firefighters, but there is nothing in the study to indicate if there are any firefighters in the sample. Dr. Michael O’Reilly (Executive Vice President of Masimo Corporation) had a bunch of excuses for the study that did not agree with the research paid for by Masimo. One excuse was that incorrect use of the RAD-57 interfered with results, even though Masimo trained the people using the RAD-57. Would Dr. O’Reilly have mentioned this if the study had produced the results he wanted? Trust me. I am here to serve you. > Have CO levels tested on the scene with the Masimo Rad-57. • Just because firefighters don’t feel like they have CO poisoning doesn’t mean that they don’t have unsafe levels of carboxyhemoglobin (SpCO) in their bloodstream. • That’s why rehab guidelines support the use of on-scene CO testing.6 To be safe, have SpCO levels tested with a Masimo Rad-57 before going back into the fire and during overhaul, even if firefighters think they’re okay. > Get prompt on-scene treatment. • Recognition is the key to immediate on-scene treatment. With early recognition, treatment for CO poisoning can begin immediately, which significantly reduces both immediate and long-term health risks. To be safe, have SpCO levels tested with a Masimo Rad-57 before going back into the fire and during overhaul, even if firefighters think they’re okay. Masimo is providing very bad advice. Is Masimo trying to kill firefighters? And if the RAD-57 does not detect CO poisoning, is that any reason to allow a firefighter to go back into a fire? The RAD-57 should NEVER be used to screen asymptomatic people for CO poisoning. The RAD-57 should NEVER be used to rule out CO poisoning. 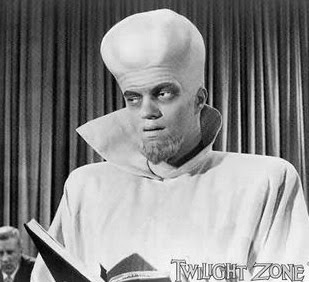 Late entry – 02/23/2012 @ 15:18 – I originally did not include the link to the abstract. The link is now included. Non-invasive carboxyhemoglobin monitoring: screening emergency medical services patients for carbon monoxide exposure. Nilson D, Partridge R, Suner S, Jay G.
Prehosp Disaster Med. 2010 May-Jun;25(3):253-6. Free Full Text PDF Download from Prehosp Disaster Med. Also posted over at Paramedicine 101 (now at EMS Blogs), at Research Blogging, and Discussed on the EMS Research Podcast – RAD-57 v. Lab: EMS Research Episode 2. Go check out the rest of the excellent material at these sites. CO (Carbon monOxide) is a significant cause of poisoning in the US, with hundreds of fatalities each year. The Masimo RAD-57 non-invasive CO monitor is a device that is supposed to make identification of these patients quick and accurate in the out of hospital setting. There has been one study of the RAD-57 on actual patients being evaluated for CO toxicity. In that study, the sensitivity was horrible. Only 48%. I could do as well flipping a coin. So could you. The low sensitivity has been the focus of the criticism. On the other hand, the 99% specificity has been seen as a confirmation of what was already known. Is the high specificity real? There is a study coming out that suggests that rather than 15%, we should use 6.6% as the cutoff to provide good sensitivity. What happens to this study’s calculation of 99% specificity (only one false positive for every 100 patients screened), when the cutoff is dropped to 7% (the RAD-57 does not provide a display in fractions). Using the 15% cutoff, 99% of the time, when the RAD-57 indicates that the carboxyhemoglobin is over 15%, the carboxyhemoglobin is over 15%. Only one false positive out of 120 patients. What happens when we change the cutoff to 7%? Not so good on the specificity. There appear to be 14 false positives out of 120 screened patients. What will happen in the real world with these results? With time, we will probably start to ignore the results that do not tell us what we want to see. We will have spent $4,000 per machine to have a piece of equipment that we ignore when we do not like the results. How does that provide any benefit for anyone with CO toxicity? Also posted over at Paramedicine 101 (now at EMS Blogs). Go check out the rest of the excellent material there. Continuing from Bad Advice on Masimo’s RAD-57 – Part I from Bad Advice on Masimo’s RAD-57 – Part II and from Bad Advice on Masimo’s RAD-57 – Part III. Based on the criticism from Marshall J. Washick and Dr. Wesley we should only use the RAD-57 on pale people, we should only accept numbers that are above zero, and we should not pay attention to research that is not paid for by Masimo. Golly, I will run out and buy 2 of these. Furthermore, the RAD-57 could prevent a firefighter from being covered for illness due to on the job exposure to carbon monoxide. Look at the numbers! It’s not carbon monoxide! Not to worry. This is the RAD-57 and we are medical professionals. We make excuses for the faulty equipment. If the zero readings are an indication of an error, then the RAD-57 should be designed to indicate Error, not zero. Dr. Wesley states that the zero readings are errors. This should be a simple fix, but Masimo has criticized the research rather than improve the function of the RAD-57. This does not inspire confidence in the RAD-57, in Masimo, or in the ability of the technology to be used by non-specialists. Does the Masimo training stress that we should ignore zero readings? I haven’t seen anything from Masimo that says ignore zero readings – and Masimo has sent me material to try to convince me that the research is wrong. Did Masimo design the RAD-57 to indicate Error, rather than zero? They could have done this, but they chose not to. This would be one way to get around part of the problems of operator error and equipment malfunction. After the study, Masimo could have retrofitted the RAD-57 to show Error, rather than zero, but Masimo chose not to. The attitude of Masimo does not appear to be one of concern about the possible danger to patients, but only of concern about a possible danger to the bottom line. If they make a good product and stand behind it, they should profit from that, but that is not what I see. Masimo is saying Ignore that independent research. The independent researchers are making a different statement. Demonstration of adequate agreement between measurements made with the RAD device and standard laboratory measurement is essential before this noninvasive method of carbon monoxide detection can appropriately be substituted for arterial or venous measurement in clinical care. We should pay attention to the independent researchers, unless we want to kill firefighters. Until there is a reliable and accurate noninvasive device available, we need to rely on the blood tests in the hospital, not a machine with blinking lights producing inaccurate, but reassuring results. If this were pulse oximetry, waveform capnography, or 12 lead ECG, we would not feel comfortable with a company telling us to ignore research that points out problems with the equipment. We should not accept this when the device is even less well understood, such as this novel non-invasive carboxyhemoglobin measurement device, the RAD-57. Continuing from Bad Advice on Masimo’s RAD-57 – Part I and from Bad Advice on Masimo’s RAD-57 – Part II. 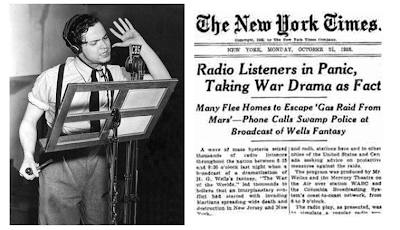 Doc Wesley comments: . . . Examination of the data reveals that a significant number of RAD-57 readings were 0%. These results should have been excluded as a technical error because it’s unlikely to have a CO level of 0%, especially in a suburban/urban environment. To illustrate this, I took a RAD-57 and walked through my ambulance company going through administration, billing, operations and fleet. I performed 30 consecutive readings and never got a reading of 0%. Including these readings in the study creates an incorrect error rate. Should we assume that the zero readings would be ignored when this is used on real patients? No. People would never do that. The people using the RAD-57 in this study were trained by the people from Masimo. Could the researchers receive better training than that? Does Masimo suggest that their people do not know how to train people in the use of their equipment? Is there any reason to believe that the non-zero numbers are accurate? According to this chart from the original study with the area in red indicating the readings that were below 15% even though the blood level was above 15%. Some of these are low, but not zero. Even if we throw out the zero readings that were obtained by repeated measurements (all of the measurements in the study were repeated), we still have an inaccurate device. The RAD-57 is not something to bet your life on. And if the reading is zero? According to Dr. Wesley, that should be ignored and we should roll again until we come up with something that is not zero. More likely is that firefighters will want to go back and fight fire, so they will insist that the the RAD-57 be applied over and over, until acceptable numbers come up. The firefighters I know do not like to be told that they may not fight fire. They will claim, If the machine produces numbers that say it is OK to fight fire, why are those numbers any less reliable than the numbers that say, “Go to the hospital”? If we are not supposed to trust the zero readings, should we trust any of the other readings? Come on small non-zero numbers! Poppa doesn’t want to go back and put on his shoes. If the RAD-57 only reads zero, do we take the firefighter to the hospital? In the real world, how many of these firefighters will have significant COHb levels that will not be recognized until later on. Maybe toxicity will become obvious while fighting the fire. Maybe toxicity will become obvious during the driving home. Maybe toxicity will become obvious during the autopsy. To be continued in Bad Advice on Masimo’s RAD-57 – Part IV.